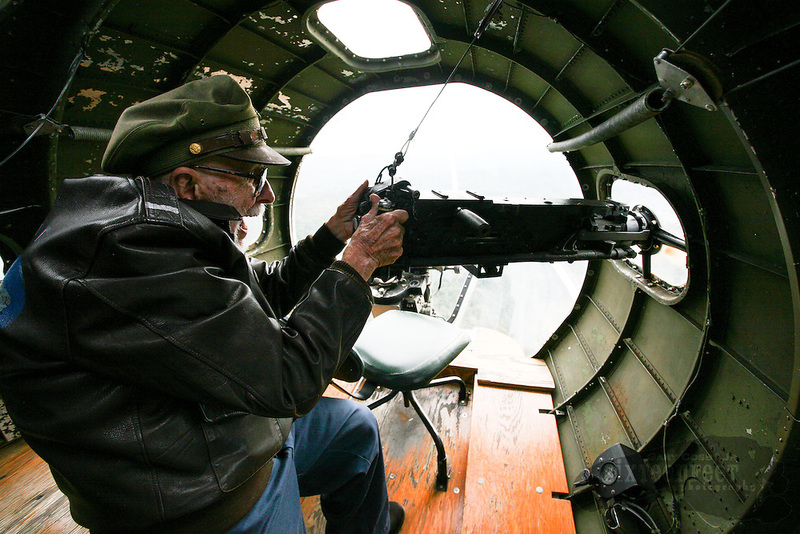 Memphis Belle B17 Bomber | Gary Cosby Jr.
Gary Cosby Jr./Decatur Daily World War II B17 navigator Bill Varnedoe relives some of his war service during a flight on the Memphis Belle Monday. Varnedoe said he grabbed a gun just like this in combat to shoot at an approaching German aircraft and the gun jammed on him. His normal job was navigator. The aircraft will be open for tours and flights Saturday, October 25th at the Huntsville Executive Airport.